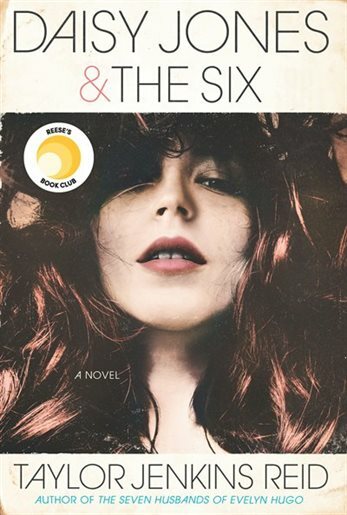 The minute I started reading Daisy Jones & The Six I wish I wrote it. The book is set up as an oral history, the kind Vulture and Entertainment Weekly and other entertainment sites have been doing for movie and music and TV retrospectives – a really clever narrative structure that could only have been done by a pop culture enthusiastic aka a sophisticated gossip. Taylor Jenkins Reid understands gossip. She understands that gossip is storytelling and that stories can take different forms through the lens of the people telling them – which is why this was the gossipiest way to tell the story of a fictional band from the 70s that may or may not remind you of a real band from the 70s, although it doesn’t really matter if you know that, because these characters will feel real to you, these conversations will sound real to you, you will want the music to be real too. This is a really, really special book about creative collaboration and the entire ecosystem involved in making art, not just the headliners. And by putting so much life into every member of the band and more, instead of focusing only on the “leads”, Taylor Jenkins Reid has told a story about the WORK of making and performing art, honouring the fact that it doesn’t happen in a vacuum, that the best art happens in community, that’s where the magic is. By the end of it, you will almost believe that Daisy Jones and The Six existed. By the end of it, you will definitely want a Daisy & The Six concert tee. You might even want to be Daisy for Halloween. And you will definitely have opinions about who should be Daisy and Billy and Karen (I love Karen so much and I can’t wait for you to meet her) and Graham and Eddie and the rest of band when you see it on Amazon. Reese Witherspoon already acquired the rights to the book before publication for a 13 episode series that will include original music. Like, it would not surprise me if Taylor Swift wants to play Daisy – if she hasn’t already read it and put in the call. I can’t wait to play casting call with all of you after you’ve read it. I can’t wait for you to be as obsessed as I am. 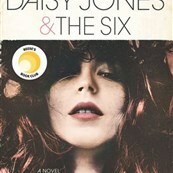 Daisy Jones & The Six is available now. Give yourself the day, because once you start, you won’t be able to stop. Click here to visit the Penguin Random House book page and scroll to the bottom to find links to the retailer or eBook store of your choice. Note: Although this is a paid spot, I was under no obligation to be complimentary of the book, only to present it to you as an option. However, I thoroughly enjoyed it and chose to write what I wrote. Also… I have great taste in books.